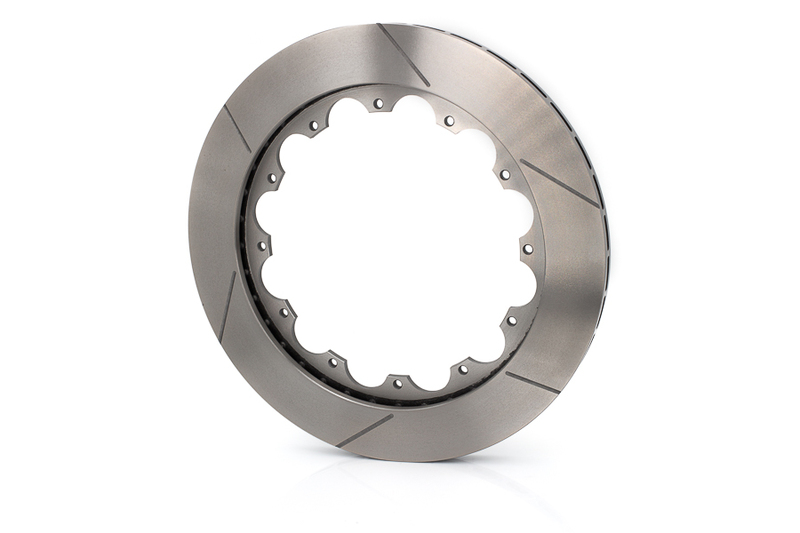 These in-house modified Wilwood GT-36 straight vane rotors are built for the extreme conditions of professional motorsports, with a bit more clearance in mind. At 13.5 in diameter, they provide additional clearance between the wheel and caliper while still retaining full pad contact. This extra bit of clearance can go a long way in Ultra4 racing, especially in IFS setups with an already tight wheel package. The outside diameter is machined down in our shop, with clean edge chamfers on both sides all while holding an OD position tolerance of less than .005" from the original brake hat mounting holes. Everything else about this modified Wilwood GT rotor holds true to the original. 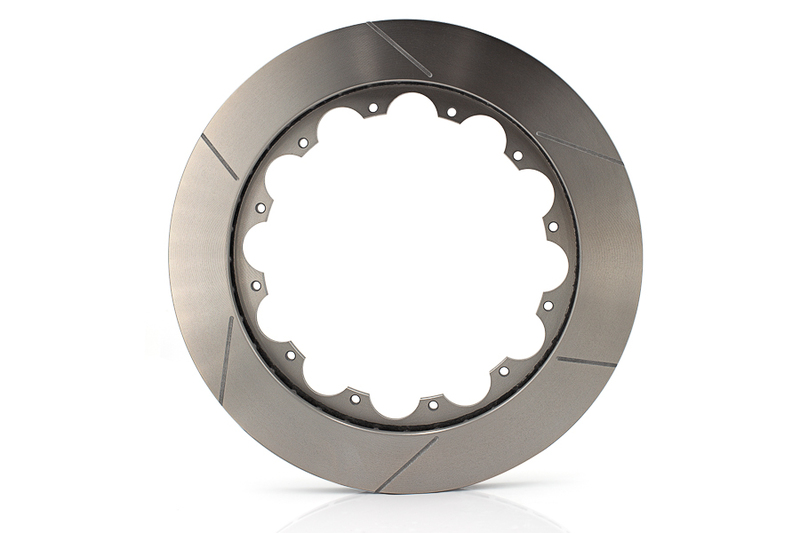 The superior heat absorption and dissipation characteristics of these heavy wall directional vane rotors are the keys to preventing heat fade and realizing long service life from the rotors and pads. 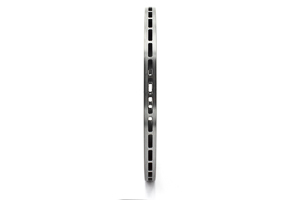 All rotors are cast from premium grade, long grain carbon iron for long wear, thermal stability, and resistance to distortion. Every GT-36 rotor is fully detail machined to eliminate stress points and unnecessary weight away from the pad sweep face. The faces and O.D. are precision turned to less than .001" for flatness, parallelism, and run-out. 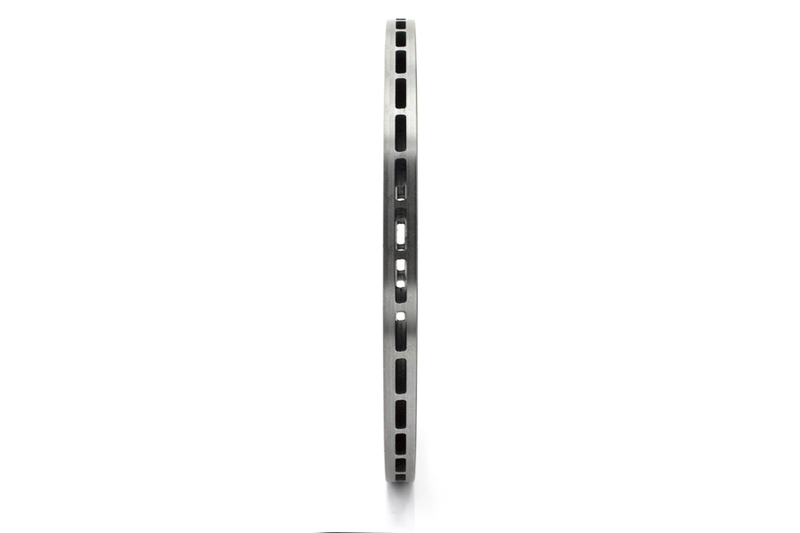 An asymmetrical face slot pattern provides smoother engagement through reduced harmonics and improved thermal balance between the I.D. and O.D. of the rotor. 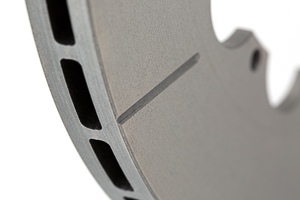 Every rotor is then individually dynamic balanced to provide vibration free performance at any speed. These rotors provide the highest cooling capacity and longest service life for extreme braking short tracks and multi-hour desert races (think Ultra4 Nationals and the Fallon 250). To clear the diameter of this rotor, a 17"+ wheel is required. Brake Hat mounting hardware sold separately.